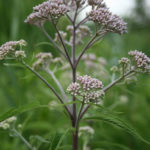 Eutrochium maculatum is an herbaceous perennial, growing up to 6.6 feet (2 m) tall. Stems are sometimes completely purple, sometimes green with purple spots. 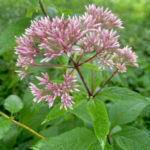 One plant can produce numerous rose-purple flower heads in late summer, each head with 8-22 disc flowers but no ray flowers. 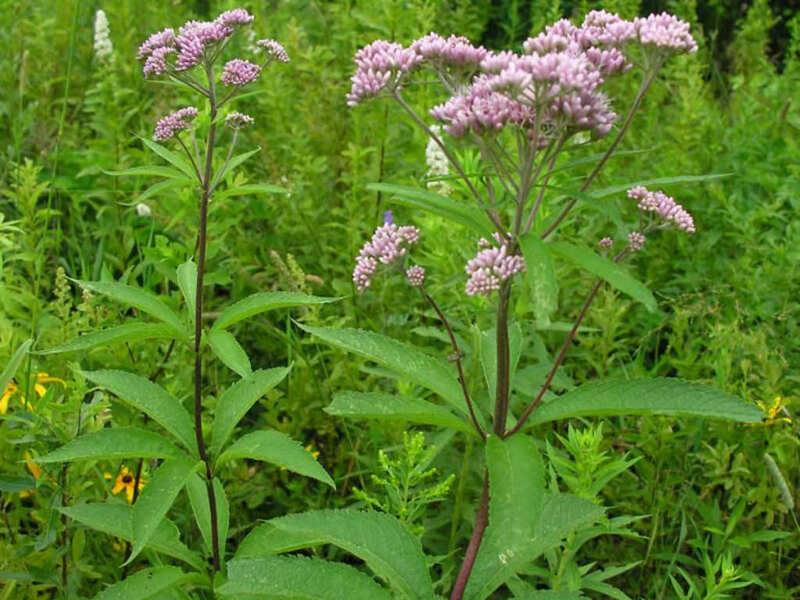 The binomial name “maculatum”, meaning spotted, refers to the purple spots on the stem. 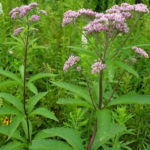 Sweet Joe Pye Weed is happiest with full sun to part shade in moist to wet soils. 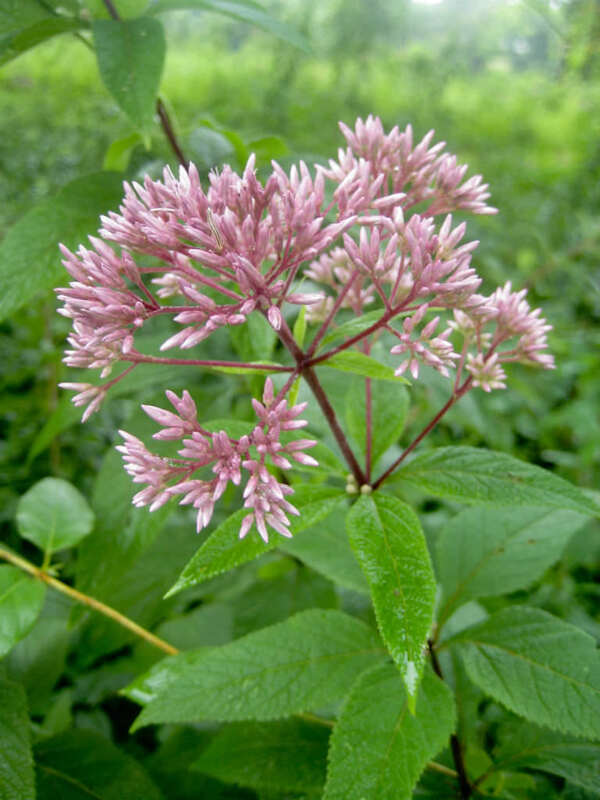 It prefers that the soil does not dry out which is why clay works well for Joe Pye. It has no serious insect or disease problems. 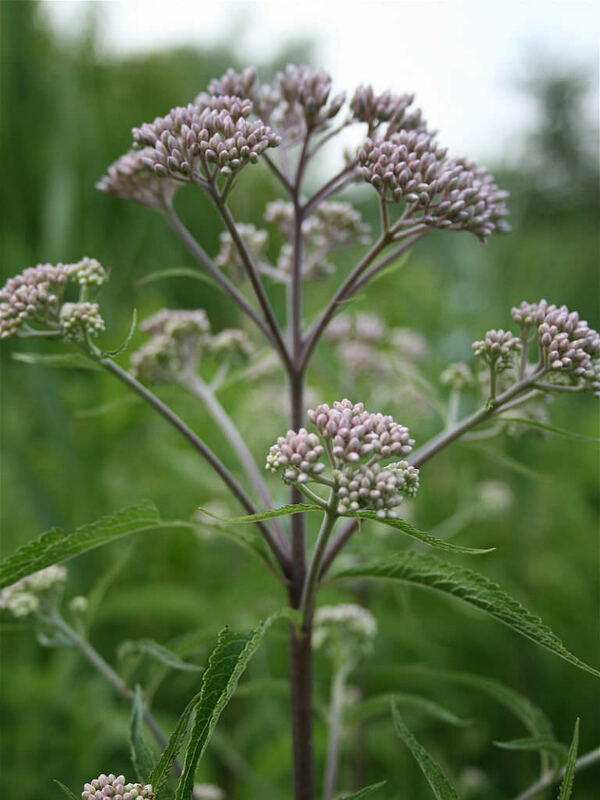 Sweet Joe Pye Weed just isn’t a fussy or difficult plant to grow. 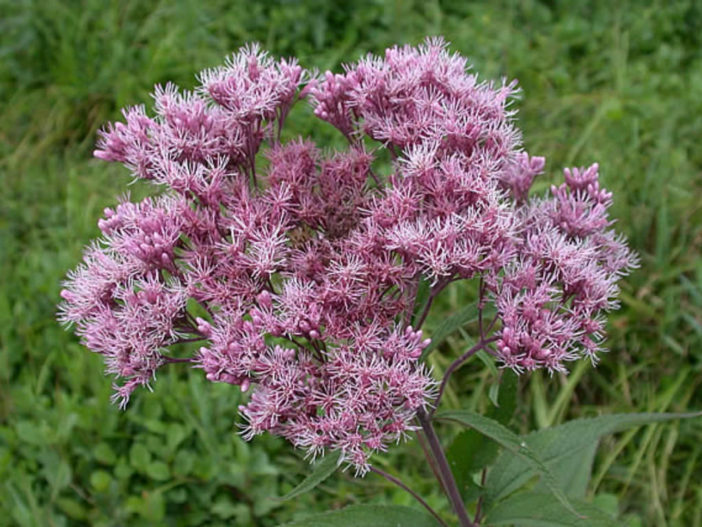 If you do not want Sweet Joe Pye Weed to spread hither and yon, then cut the seed heads off.